The Apex Ambulator Strap Oxford for Women. The Black Women's Ambulator 1260w provides comfort and protection for trouble feet. Ambulator women's biomechanical and conform footwear provide extraordinary cushioning and support. 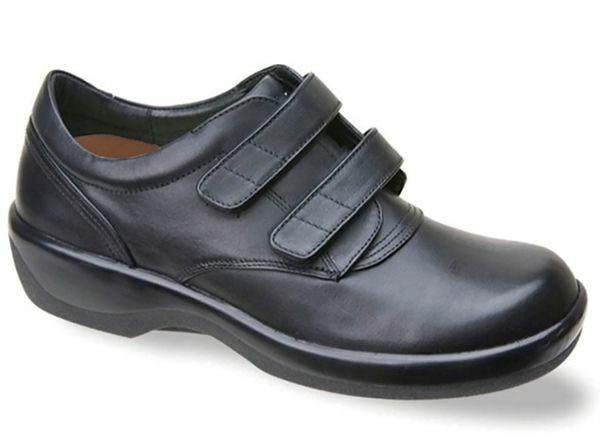 The Apex Amubulator shoes are great for people with diabetes, foot arthritis or other foot problems such as bunions or hammertoes. Brought to you by Aetrex Shoes. The Apex Ambulator Strap Oxford for Women. 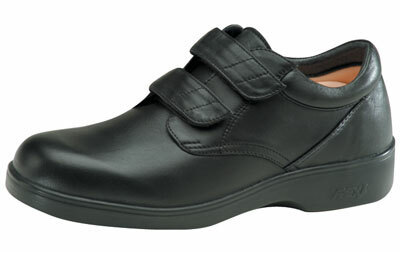 The Black Women's Ambulator 1260 provides comfort and protection for trouble feet. Ambulator women's biomechanical and conform footwear provide extraordinary cushioning and support. Click to see all of the Apex Ambulator Womens shoes. 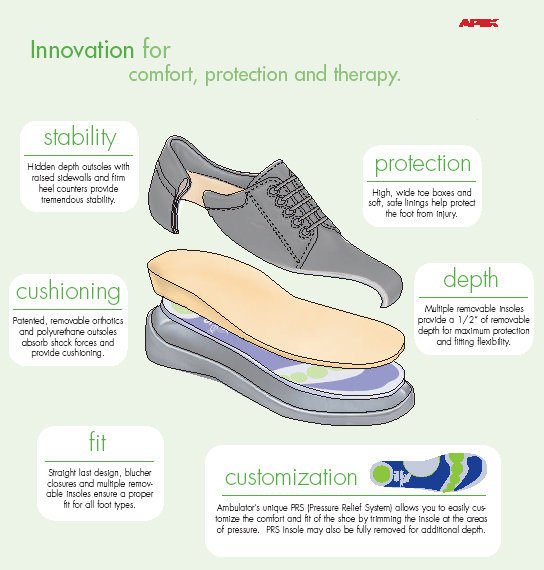 Multiple removable insoles provide a 1/2" of removable depth for maximum protection and fitting flexibility.